A friend brought over a jar of homemade applesauce, so I decided it to add it to pork chops for dinner. Recipe is courtesy of Allrecipes.com. The recipe was for two and I was serving four pork chops so I had to double the quantities. Preheat oven at 375 F (190 C). Melt butter in a large skillet over medium heat; cook and stir onion and apple slices in the melted butter till tender, about 5 minutes. Transfer to a bowl. 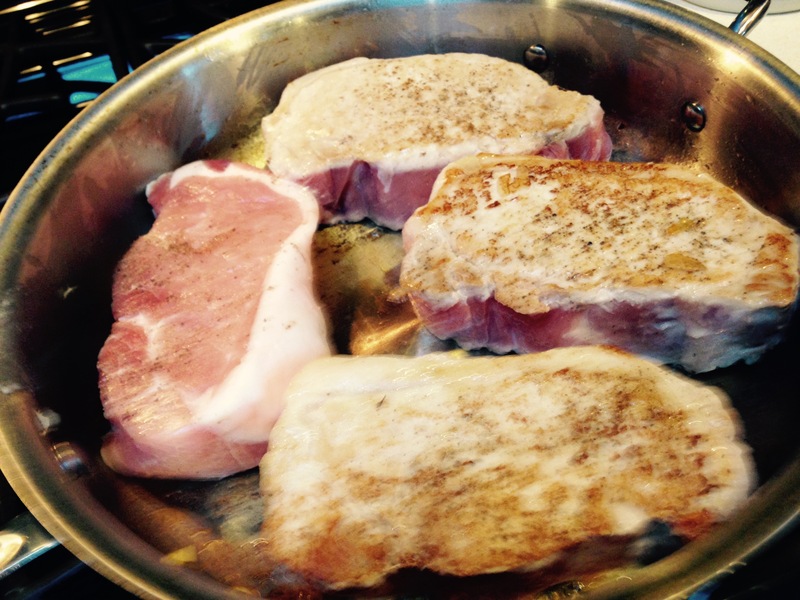 In the same skillet cook the pork chops over medium heat till brown on both sides about 5 minutes on each side. 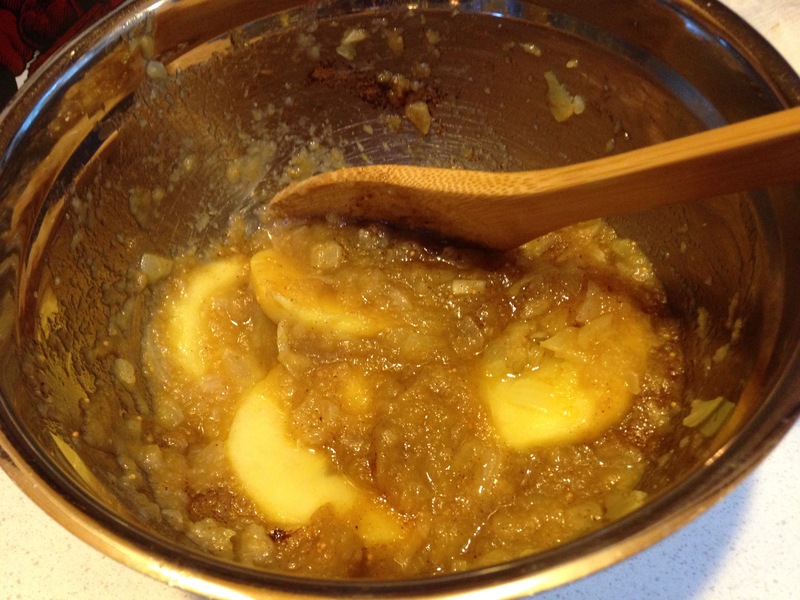 Mix applesauce, brown sugar, mustard, and cinnamon on the apple and onion mixture. Place the pork chops in a 9×9 inch baking dish, season with salt and pepper. Spoon the applesauce mixture over the chops and cover dish. Bake until pork chops are no longer pink in center, about 30 to 45 minutes. An instant-read thermometer inserted in the center should read about 145 degrees F (63 C).